New to the City of Norcross events calendar this year is Blossom – a unique garden & gardening arts experience. On April 30th from 10am – 5pm visitors will have a choice of several activities, from getting their hands dirty at local plants sales and strolling through local gardens, to shopping for garden art and enjoying spring salads in the local eateries. Five gardens will be on tour for this free inaugural event, including the charming grounds of the Norcross Garden Club, and the beautiful home grounds of Gardens by Design owner and master gardener, Julie Foster. In the downtown area, the merchants will host a Spring Open House, full of new inventory for your own garden, as well as for inside your home. Sit outside on any of the restaurant patios and decks, and enjoy fresh chef specials to help shake off the winter blues. The Norcross Garden Club and Gardens by Design will each be hosting plant sales with annuals, pass-alongs, herbs and even heirloom tomatoes. Plus there will be workshops and a chance to get advice from local master gardeners. Farmers from the upcoming Whistle Stop Farmer’s Market will be on hand with tips on how to make your veggies flourish (and some early crops to buy! 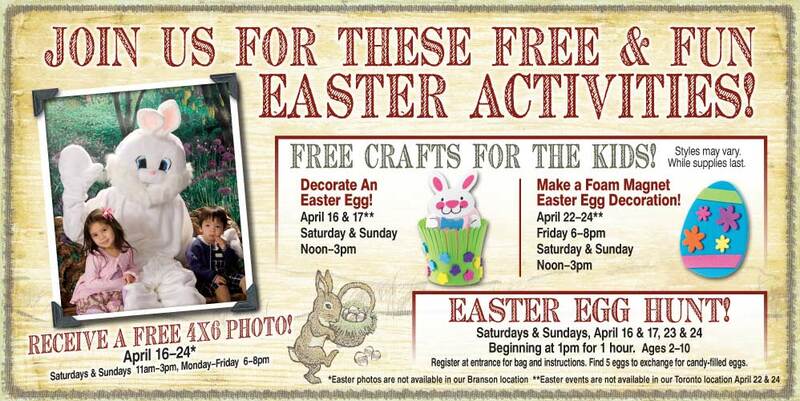 ), plus you can sign up for a rain-barrel making class, and a flower-arranging class. The circus is coming to town, and it happens to be the biggest Shrine Circus in North America. Don’t miss the opportunity to see all-new top circus acts from around the world with clowns, bears, elephants, horses, motorcycles, acrobats, and a human cannonball. 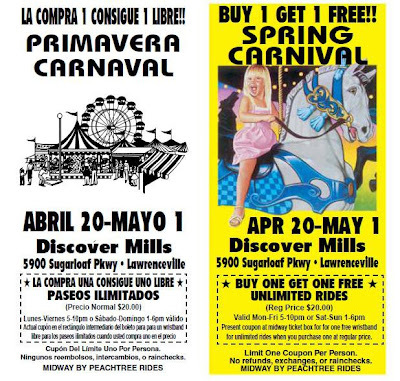 Plus, enjoy a giant Carnival midway featuring over 40 rides and attractions. Of course, you can expect lots of good food, like pizza, funnel cakes, ice cream, corndogs, cotton candy, candy apples, fluffy fries, hamburgers, hotdogs, cheese steaks, elephant ears, Polish sausage, Italian sausage, barbeque, home fries, fried Oreos, roasted corn, snow cones, apple dumplings and more. 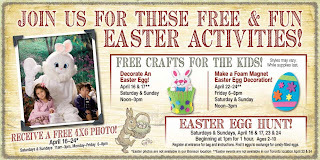 Get a free 4 X 6 photo with the Easter bunny, decorate Easter eggs and make eggs foam magnets for free on April 16-24 at selected Brass Pro shops. For more info click here. 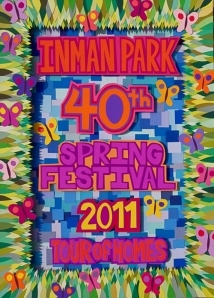 The Inman Park Spring Festival always take place on the last weekend of April. This year (2011) it runs from April 29 – May 1. It encompasses a range of different events, including musical performances, a dance festival, a tour of homes, and a parade. On Saturday and Sunday the Tour of Homes runs from Noon until 6:00 p.m. On Saturday, Festival (excluding the Tour of Homes) begins at 11:00 a.m. and runs until 8:30 p.m.
On Sunday, the times are 11:00 until 7:00 p.m.